According to Ekwall, the name Aldon derives from the Old English aewell, meaning a spring, and dun meaning a hill. 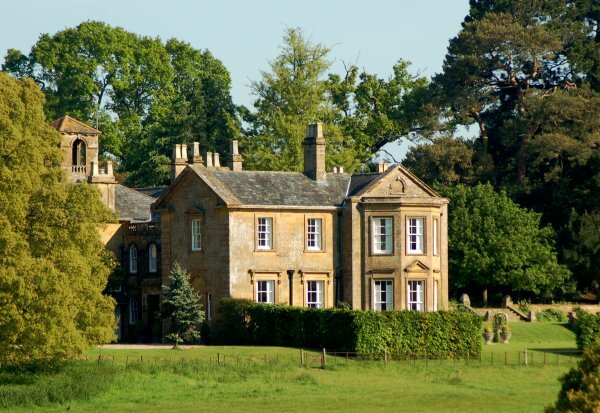 Both conditions apply at Yeovil since Aldon House lies on the hill immediately above the local beauty spot of Nine Springs. 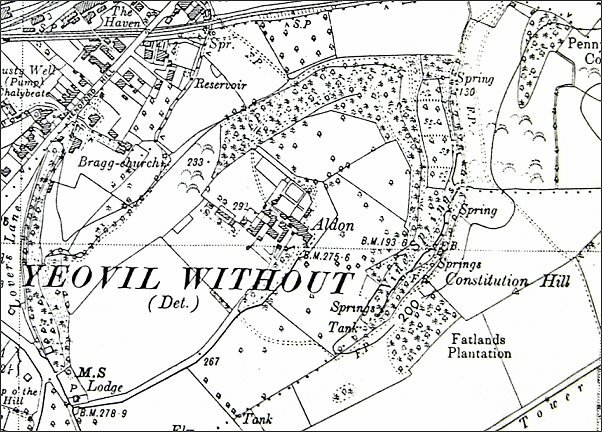 The name Aldon was known before the house was built since Watt's map of 1806 shows a footpath "To Aldon Farm, etc." and in 1832 and 1840-41 the Voter's List refers to both Aldon and Aldon Farm. The 1842 Tithe Map shows Aldon Farm as a simple building and not the impressive range of buildings that was to become Aldon House. The 1846 Tithe Apportionment notes that the owner was John Batten and the occupier was John Brooks. 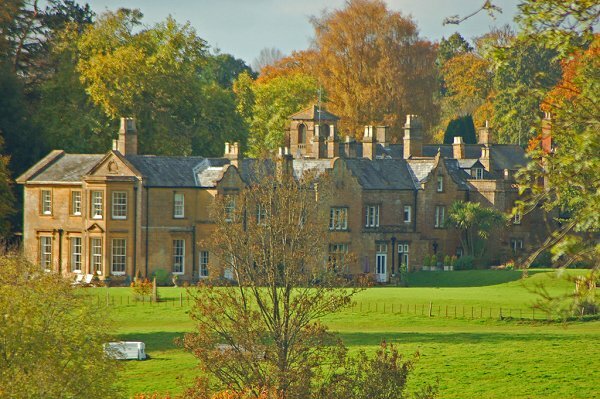 Set within extensive parkland, originally a working farm, Aldon became the home of John Batten the elder, banker and solicitor, who purchased it in 1829. The house itself is a mid-nineteenth century country house built of Ham stone ashlar with a Welsh slate roof partly hidden behind parapets. It is U-shaped in plan and chiefly of two storeys. The entrance facade faces southwest, and is of 5-bays with the centre bay recessed and projecting wings to either side. The southeast garden front has 3-bays with the third bay is in the form of an end gable. The northeast, or rear, elevation is more complex with three Dutch gables and transomed windows of seventeenth century style. By the time of the 1851 census Aldon was occupied by 36-year old attorney John Batten the younger, his wife Grace, their five young children and three servants. Map based on the 1938 Ordnance Survey showing the Aldon Estate. 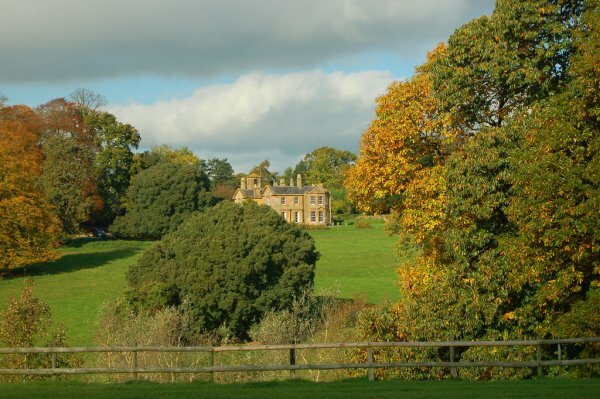 Aldon House sits on the hill surrounded by the wooded Ninesprings Valley, part of the estate and originally closed to the public. At top left is seen Hendford Hill and at bottom left is seen the Dorchester Road. 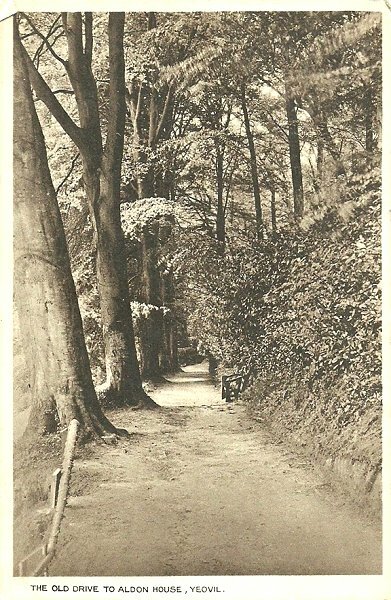 A postcard dating to about 1910 of the 'Old Drive' to Aldon House. 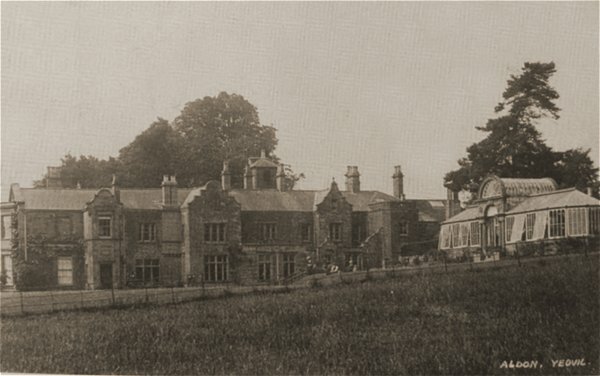 The northeast elevation of Aldon House photographed in a postcard of around 1910. 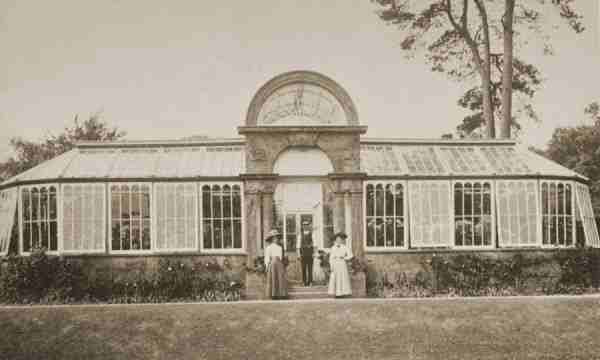 The orangery at Aldon, photographed in 1911. 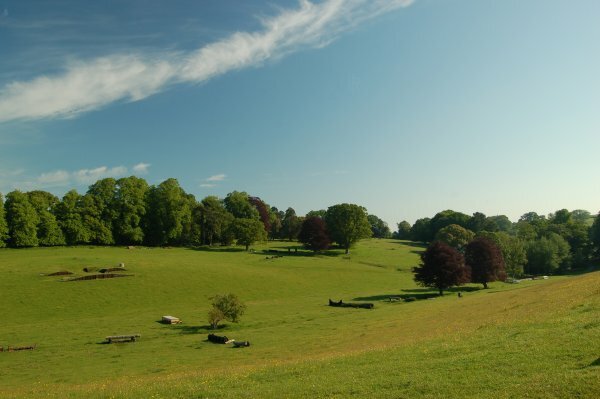 Aldon, set within its extensive parkland. Photographed in 2009. A closer view of Aldon showing the Dutch gables of the northeast elevation. Photographed in 2009. A closer view of Aldon's southeast garden elevation. Photographed in 2013. The Aldon parklands seen from close to Aldon Lodge. Aldon lies beyond the trees left of centre. Photographed in 2013. In 1846 this verdant field was an arable field called Symonds Ground.